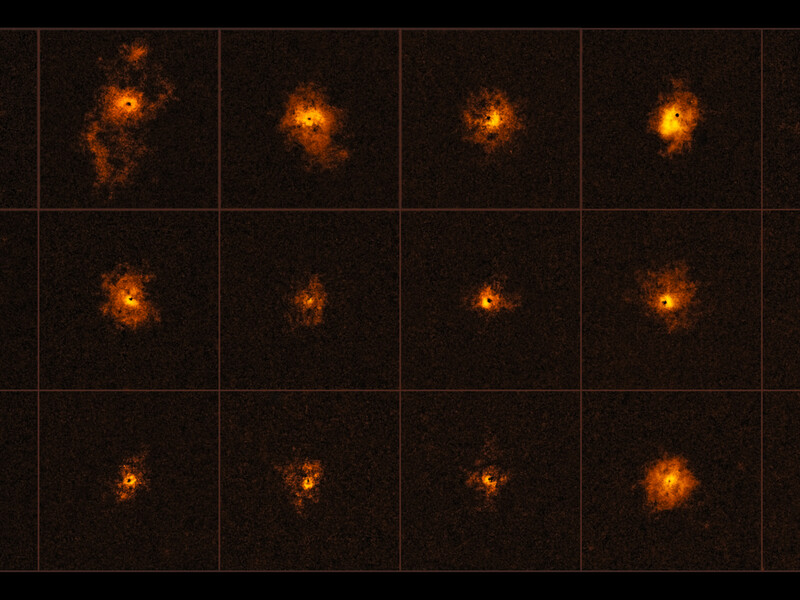 This mosaic shows 18 of the 19 quasars observed by an international team of astronomers, led by the ETH Zurich, Switzerland. Each observed quasar is surrounded by a bright gaseous halo. It is the first time that a survey of quasars shows such bright halos around all of the observed quasars. The discovery was made using the MUSE instrument at ESO’s Very Large Telescope. Credit: ESO/Borisova et al.